Rodney Willett's Blog: It just so happened . . . It just so happened . . .
Over the last few months I have read – a lot. Thanks to my rotten sight these are all ebooks (mainly Kindle) and I have two bits of equipment on which I read: an Acer Iconiatab and a much smaller and lighter Nexus. The Acer does all sorts of things, most important of which is that I usually write this blog on it – simply because it is reasonably portable and has a full size on-screen keyboard which means I can pound away at my usual breakneck speed. Then I email it to my PC as an attachment. Since I can think of no sensible way of illustrating these random thoughts, I thought I would start with this picture of Marcia standing beside one of the old and much distorted trees on the Dartington Hall Estate. Early on I decided that I would have something pretty serious on the Acer and something light and undemanding on the Nexus for last thing at night. As of today, it is The Towers of Silence by Paul Scott and some of the French Foreign Legion yarns by P C Wren. It was the latter (and especially the three Geste stories) which raised in my mind this week's literary question: what should be the maximum number of coincidences allowed in a novel? 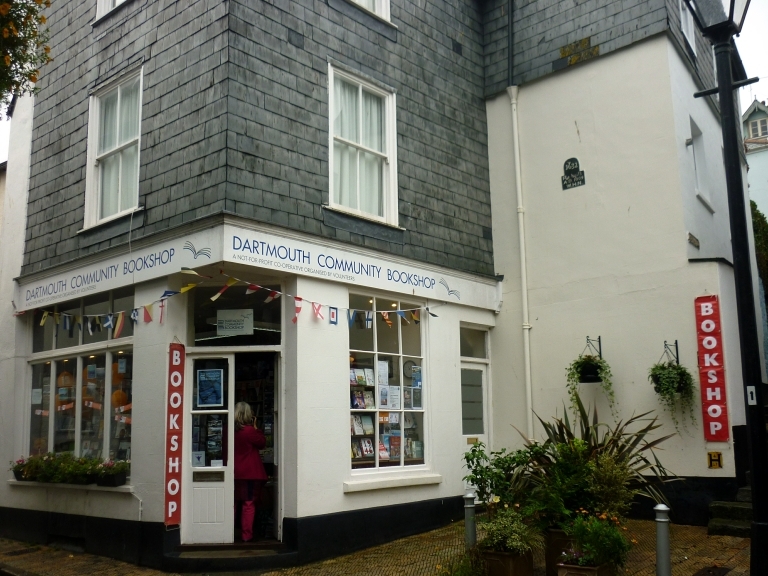 Then, simply because the next book which is Summer on the River is set in Dartmouth, I thought we would look at some odd aspects of the town. Hopefully, many copies will leave this shop on publication day: August 28th. P C Wren overdoes it to the extent that some of the stories are, frankly, risible. However, not everything that at first looks like a coincidence is one. If you cast your mind back to The Sea Garden, you could say that it was unlikely that Joss would be related to the family on the Tamar. Actually this was quite reasonable. The only true coincidence in that book was that the daughter of one naval family should be a highly talented artist and that David happened to have married a one-time naval wife. 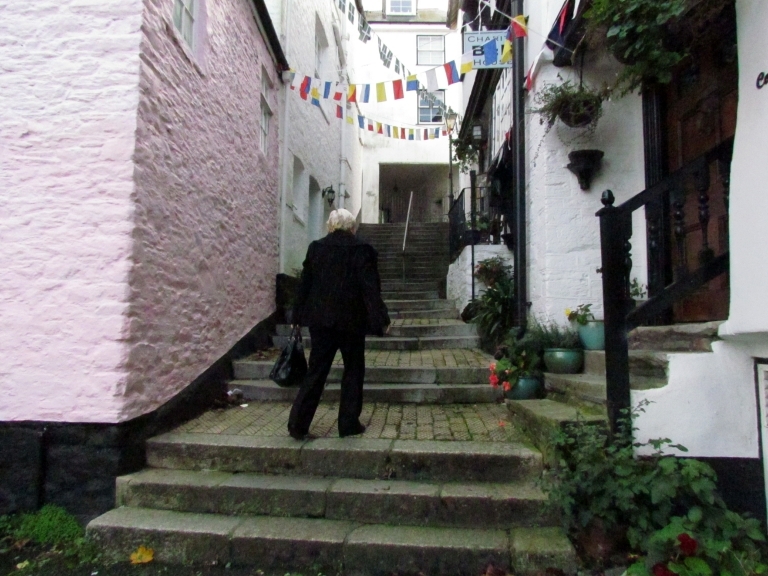 After that it would have been surprising if she had not come across her relatives in the small naval circle to be found around port of Plymouth. Of course some books spring out of a coincidence. Had Polly not decided to visit her hairdresser, one also patronised by Cassandra, and to do so at the same time, none of the events later recorded in Thea’s Parrot would have happened. But then, if I had not been leaning on the gate outside the old Victorian House in which I had my office in Kingsbridge when a certain Marcia was looking to carry out some interviews for the market research company for which she worked . 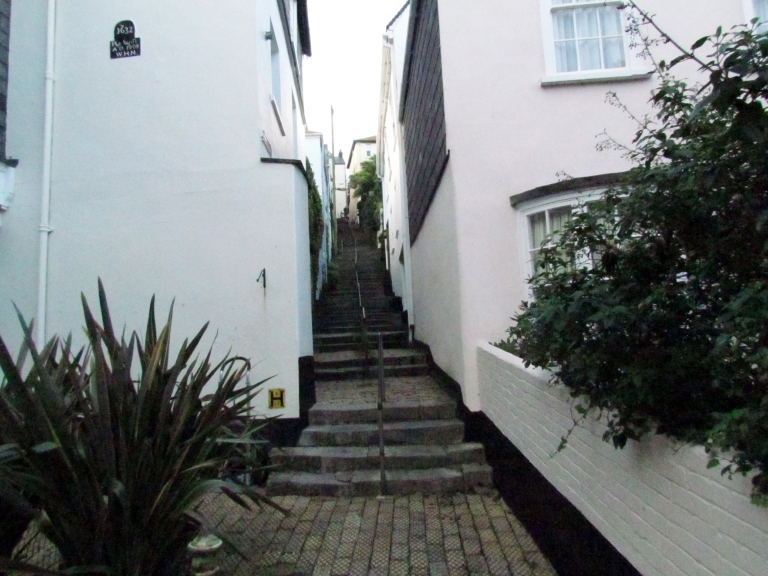 . .
Dartmouth is full of steps. I can't remember how many it was from the level part of the town to the family house up on Mount Boone but it was well over a hundred. Not great fun when carrying heavy shopping. I think we should allow a few coincidences but they should not be overdone. Nor – another problem with P C Wren – should characters be able to escape from seemingly impossible situations. Marcia and I call this the ‘with one bound he was free’ syndrome. 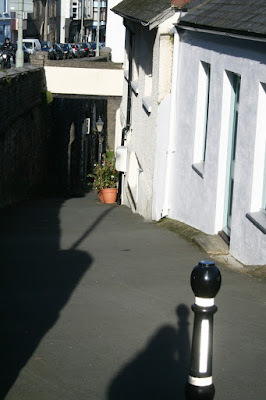 In odd corners you will find narrow lanes . . .
One could equally well level that criticism against Buchan and many other writers of adventure stories and thrillers. So often these scenes are the result of the villain doing something profoundly stupid – at least if the intention is to achieve whatever end he – or she, of course – seems to have in mind. When he wrote Mr Standfast, Buchan falls into this trap. Why, oh why, did Ivery leave Hanney trapped in the cellar at the Pink Chalet instead of simply shooting him. After all, Ivery had Mary and the information he wished to pass on to the Germans and his reason for keeping Hannay alive was very unconvincing. 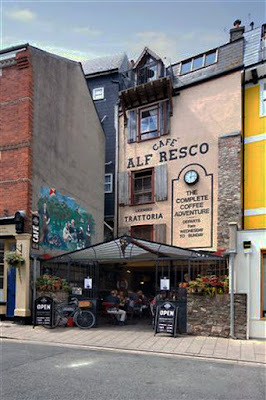 Almost inevitably ‘with one bound Hanney was free’ and Ivery’s plans in ruins.
. . . such as Bayards Hill which links South Town, and so the Merchant's House and the Boat House, to Bayards Cove, the Dartmouth Arms and Alf Rescos. It was hurrying up this hill that made Claude feel a bit odd - but that is another story. One is reminded of that scene in The Good, the Bad and the Ugly. Tuco (the ugly) is lying in a bath of soapy water and Elam (a man he has wounded and, as a result, has only one arm) comes to kill him. Elam is busy explaining that he is seeking revenge when Tuco lifts a gun out of the suds and fires. ‘When you have to shoot,’ he says, ‘shoot! Don't talk’. Good advice. 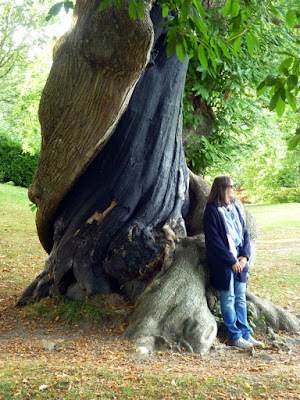 You may be interested to know that this is the 200th blog in this format. Another eight and it will be four years since I switched from the blog on the web site. It all depends on what you mean . . .